We Can Provide Any Stone Slab Product Your Project Requires! Paul’s experience and integrity assures his clients always receive the best service possible. His casual, yet professional style is a hallmark of his success. Clients appreciate his constant calm and thoughtful approach, even when the most challenging situations arise. 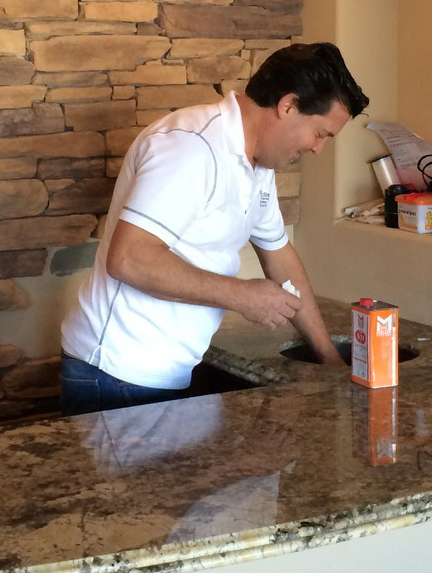 Take Us For Granite fabricates stone and quartz slab into any surface you can imagine... And install it too! We are a quarry direct dealer of Granite, Marble, Travertine, Engineered Quartz, Cambria, Caesarstone, Pental Quartz, Silestone, Qortstone, Vadara and Zodiac. "We Rock all of Southern California"